The Supreme Court arguments in the Fisher affirmative action case were contentious on Wednesday, and as anticipated, Justice Anthony Kennedy will likely be the deciding vote in a potential landmark decision. Eight, and not nine, justices heard the arguments in round two of Fisher v. University of Texas on Wednesday morning. Justice Elena Kagan was recused due to her prior job as Solicitor General. Still, at least five Justices will need to vote to change a lower court’s decision to allow the university’s current affirmative action stand. Most observers saw three possible lines of actions, based on the long run-up to the arguments and some of the Justice’s comments. “The case, it would appear, now comes down to three options: kill affirmative action nationwide as an experiment that can’t be made to work, kill just the way it is done at the Texas flagship university because it can’t be defended, or give the university one more chance to prove the need for its policy,” said Lyle Denniston on SCOTUSblog. Denniston also pointed out that Kagan’s absence is a definite factor. “Because the first two options that seemed to emerge would be momentous rulings, it may be that the Court would not want to do either with only an eight-member Court,” he wrote on Wednesday. 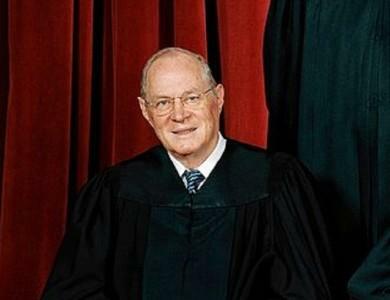 All eyes and ears were on Kennedy, again as the probable swing vote in any decision. During some points, court observers believed Kennedy seemed to be considering remanding the case to a lower court, as it did in 2013 when the case was first argued in front of the Supreme Court. But he then later told Gregory G. Garre, the university’s attorney, that the school “would not put in more evidence than we have now” for a lower court to reconsider the case – an argument Garre tried to refute. In addition to Kennedy’s remarks, Justice Antonin Scalia raised a few eyebrows when he started to state arguments presented in briefs to the court about race and college admissions. Scalia was referring to what is called a “mismatch theory” related to affirmative action, a hotly debated topic. But in the end, Kennedy seemed to be frustrated with the overall case. In the case, former University of Texas applicant Abigail Fisher contends that the school’s discriminatory admission policies led to her rejection, even though her qualifications surpassed those of many admitted minority students. The U.S. Fifth Circuit Court of Appeals has twice agreed with the University of Texas policy, finding that that program makes limited use of race, and it conforms to the university’s intent to promote a racially and culturally diverse student body. Fisher argues the 14th Amendment’s the Equal Protection Clause prohibits the school from considering race in any manner as part of the admissions process. Constitution Check: Finally, a test of partisan gerrymandering? Constitution Check: Can guns used in mass shootings be banned?